ALTADENA, Calif. -- A couple on their first date was rescued from a cliff in California. 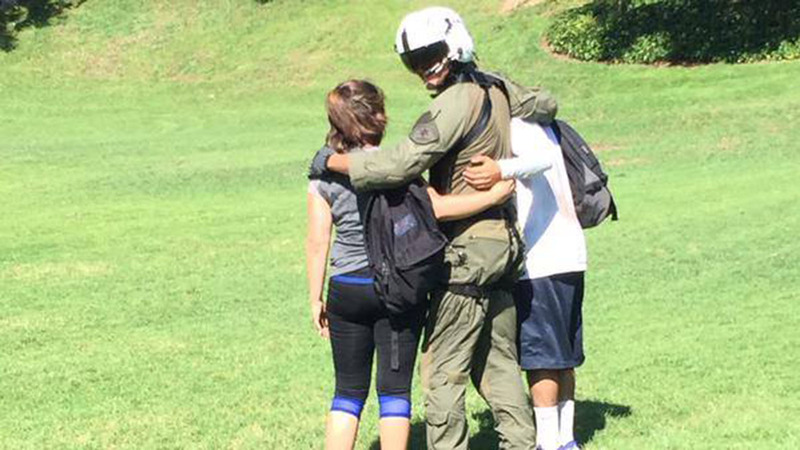 The Los Angeles County Sheriff's Office says they airlifted to two hikers on their first date. The pair was pulled from a cliff at Lowe Canyon, near dawn Mine, Altadena, Angeles National Forest. According to officials Facebook post, "The hikers had a map and a phone, but the trails can be confusing. When they realized they were lost, the hikers wisely stopped searching for a way out, and fortunately were able to get a cell phone signal and call Altadena Sheriff's Station for help."